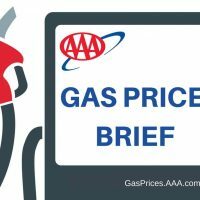 Michigan gas prices spiked to a new 2019 high price this past week, that according to AAA of Michigan. The statewide average set a new high price for the year at $2.93 a gallon this past Friday. The auto club reports Michigan drivers are now paying about nine cents more than they did a week ago and 30 cents more than this same time last year. AAA says the highest average prices in the state can be found the Tri-Cities area, and the least expensive gas is in Traverse City. Across the local area, pumps in Lapeer and Macomb Counties are asking $2.87 per gallon on average, while Sanilac County pumps are at $2.92 a gallon, and St. Clair County pumps are, on average, asking $2.88 per gallon.